For the past few weeks I’ve been casually enjoying Funding Journalism in the Digital Age, a book that surveys the business models underpinning the industry – and those that are being explored for its future. And it’s rather good. The book has four broad parts: the initial 3 chapters provide the current context: a history of news publishing as a business; and an overview of current business models and commercial tactics, from paywalls and hyperlocal projects to SEO and dayparting. The bulk of the book then looks in detail at particular types of business models: micropayments and microfunding; sponsorship and philanthropy; family ownership and trusts; niche content; e-paper, and e-commerce. Alongside this, a number of chapters look at organisational innovation, from pro-am collaboration to institutional partnerships. And finally, two key chapters look at the principles of microeconomic concepts for the industry, and the importance of innovation. Rather than sit back and paint a neutral picture of things, the book states quite firmly why now is not the time to stick with old models (the economics of both publishing and advertising have changed), while also not pretending to know the answer to the industry’s problems. Instead, over the course of the book, readers get a good overview of how media organisations are attempting to adapt to the new environment, as well as a sample of the different models being experimented with by innovative startups – the successes, failures, but mostly the wait-and-sees. The result is a valuable insight into the increasingly varied nature of the industry side of ‘the industry’. The chapters are littered with examples from both mainstream and lesser-known publishing projects, and it’s refreshingly global in its perspective: the usual US and UK stories are complemented with online and print examples from France, Singapore, Norway, Australia and elsewhere. Sadly, like most journalism textbooks, magazines and, to a lesser extent, broadcast, are a little neglected. Although this is an entry-level book the subject is broad enough – and the industry itself so varied – for most people to find something new here. For students, this is a book to join the list of must-reads. Too few books address the current commercial realities that students face upon entering the media. It would be nice to see some more. This entry was posted in blogging and tagged book review, business models, dayparting, Funding Journalism in the Digital Age, jeff kaye, stephen quinn on August 31, 2010 by Paul Bradshaw. On April 16, 2007, a 23-year-old man shot and killed 32 people at the Virginia Polytechnic Institute and State University. As the shootings were taking place students reported what was taking place on blogs, mobile phones, instant messaging, Flickr, Wikipedia, and social networks. As they did so, journalists started arriving in search of information and reaction. Some “lurked”, taking what they found and publishing it elsewhere; others engaged in “digital doorstepping” – asking students for their experiences and feelings, or if they’d be willing to be interviewed on camera. While traditional journalists saw the material as being ‘in the public domain’, many students reacted angrily to the invasion of what they saw as ‘their’ space. 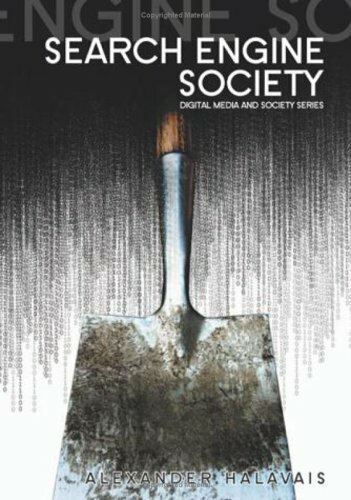 It was an example of worlds colliding, highlighting the new ethical challenges facing journalists as new media technologies enabled the distinction between public and private, and between publisher and audience, to collapse. 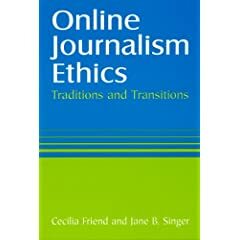 This entry was posted in online journalism and tagged aggregation, book review, Cecilia Friend, contextual ads, copyright, digital doorstepping, ethics, Jane Singer, law, privacy on October 26, 2007 by Paul Bradshaw.